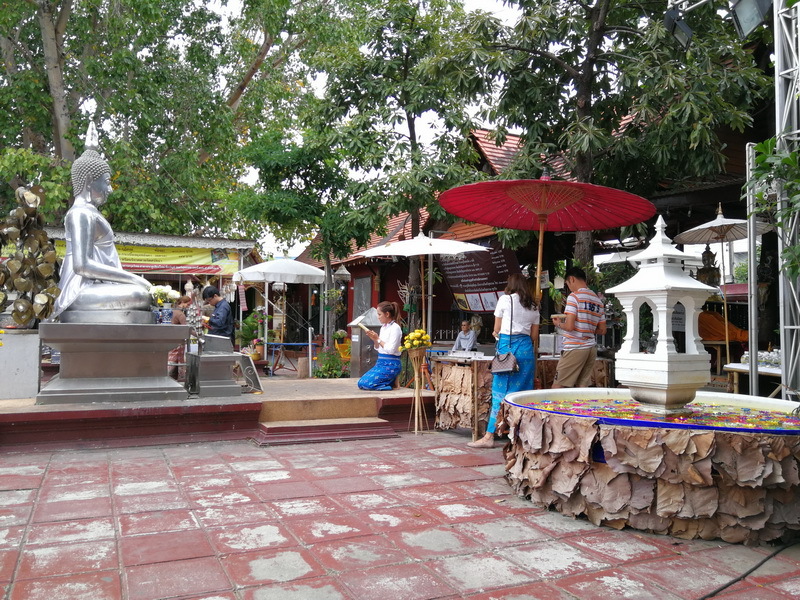 Wat Sri-Su-Phan is one the importantly Buddhism landmark in Chia Mai. 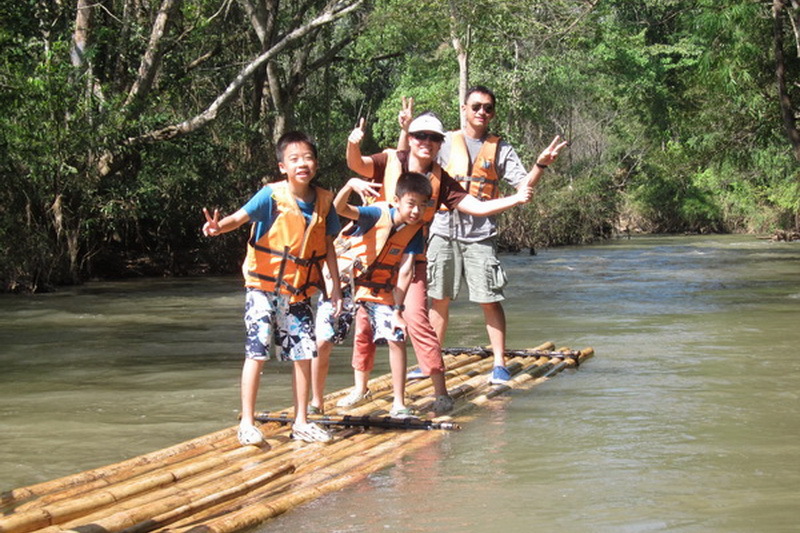 Wat Sri-Su-Phan is one the importantly Buddhism landmark for the native life in Chia Mai. Keep peaceful and see the wonderful religious creature in our well-known temple in Chiang Mai, the Wat Sri-Su-Phan. 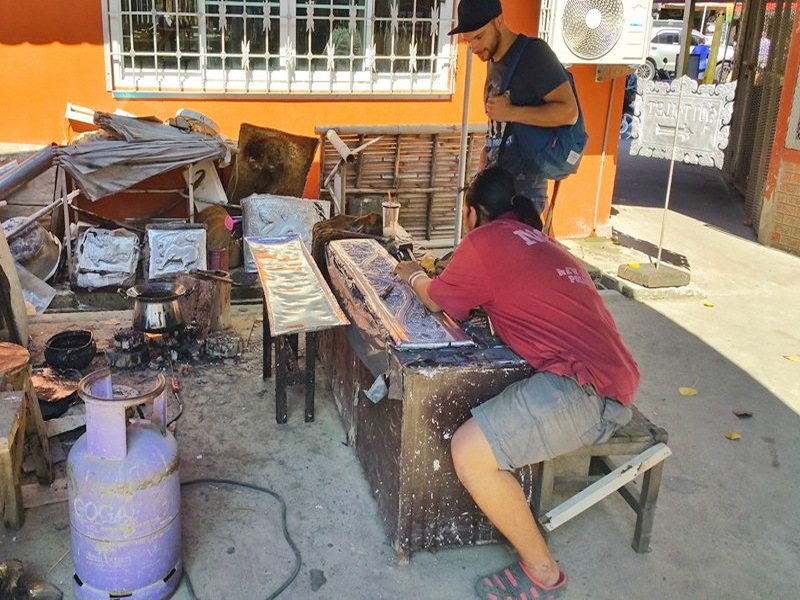 According to the attraction in Thailand, there are a lot of attraction that well-known and interesting for many tourist both Thai and foreigner. Such as national park, dam. 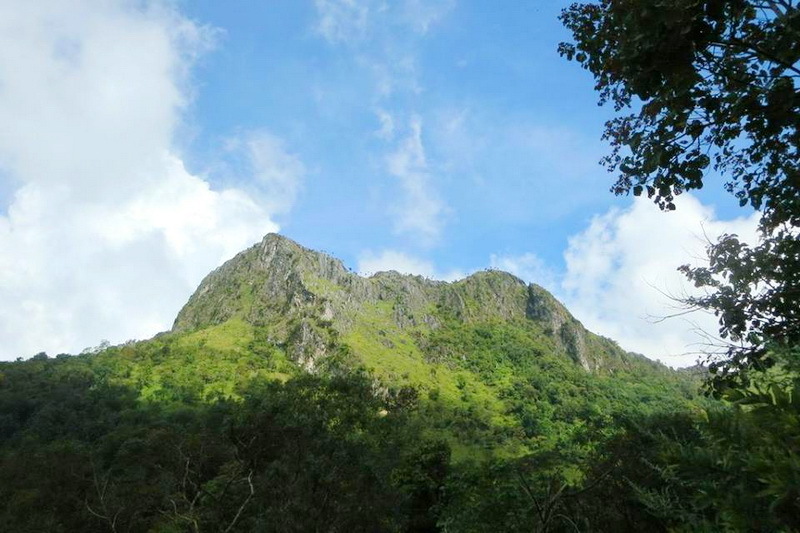 Waterfall, Thai culture site, and the other natural resources are most popular too. By the way, temple is most well-known too. There are many beautifully amazing temples in Chiang Mai, that attractive to many tourists. Our Wat Sri-Su-Phan is one of the popular too. Therefore, this is my grateful time to present you the wonderful of this religious creature, Wat Sri-Su-Phan. What do we have seen in this beautifully religious site of the northern of Thailand, the Sri-Su-Phan There are many wonderful things in this Sri Suphap temple such as the firstly is silver Buddhism chapel of Thailand was designed and created by the native people, who specialist in the silver. 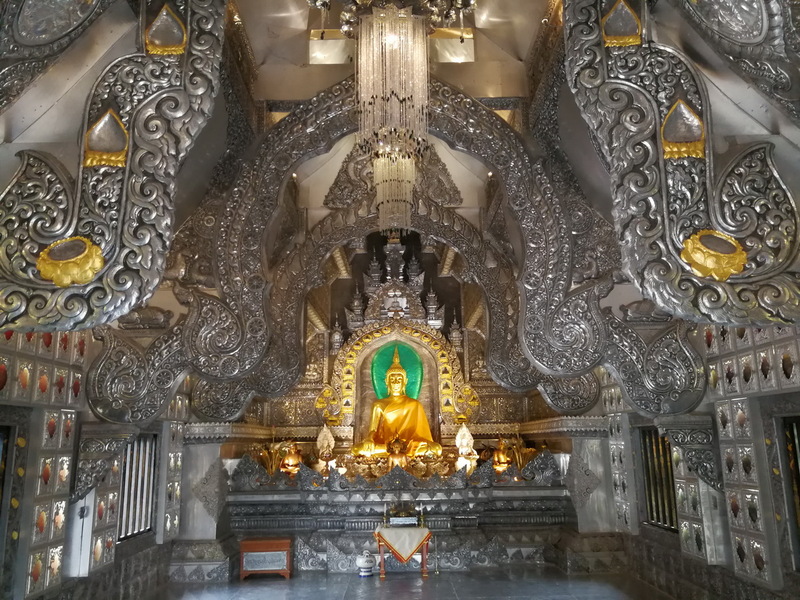 This silver chapel is very beautiful so much because it was created with the inspiration of the historical Thai northern in the past of which quite good to take photo of this valuable creature. 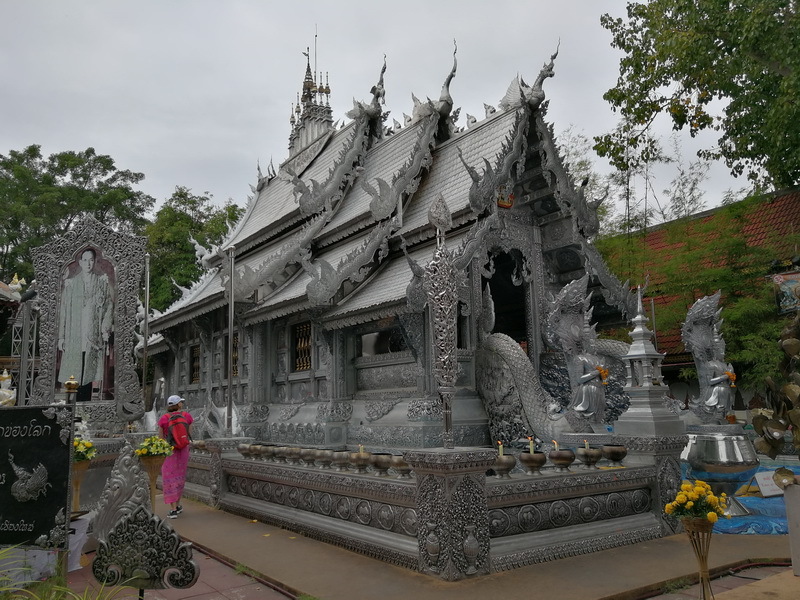 In addition, the step side at the entrance of this silver chapel has two beautiful of silver Nagas statue which wondering to many tourists who have to visited this Wat Sri-Su-Phan too. Additional, inside this silver chapel has decorated as the old Lhan-Na style ( Lhan-Na is the civilization town in the past that become to a part of our Chiang Mai in the present time) with gold well, and many beautifully silver mural, For the silver mural creature tells a lot of many stories such as the important event of Buddhism, the history of northern living, story of the Thai faith, and etc. 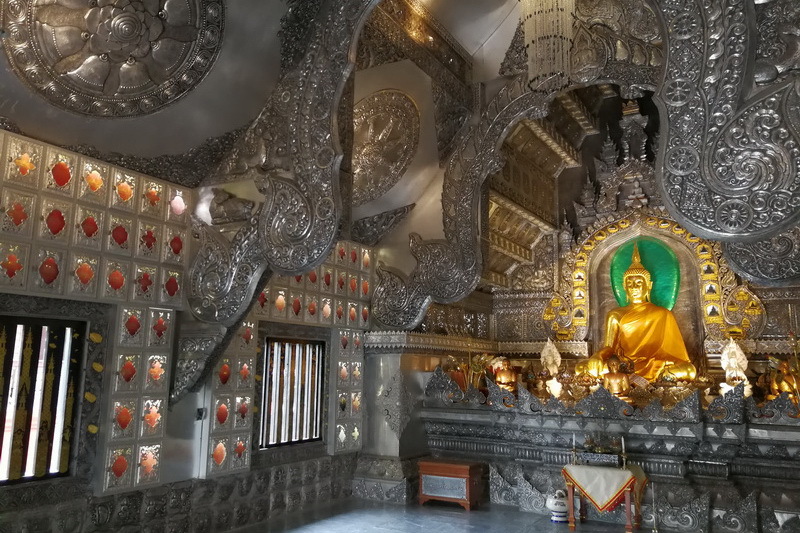 Another interesting thing is the silver Buddha statue. The silver Buddha statue is very beautiful and also faith for the native very much. You will have seen many native lives come to respect and bless for the good thing for their life in generally. The next interesting one. is the silver statue of the Ganesha ( The go of success) is attractive to take a picture and blessing too. For the recommendation activities are make a merit, study the Buddhism’s lesson and sharing Loving kindness for your beloved Deceased. The Buddhism faith is Sharing Loving Kindness for your beloved Deceased is a good very way for them to get peaceful. 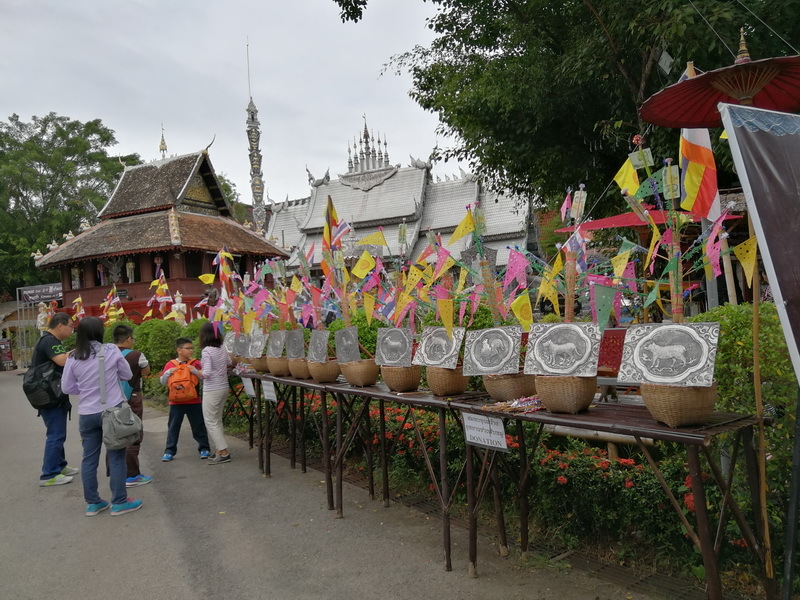 In my opinion, this the Sri Su Phan temple is the good place for not only study the Buddha s especially in lesson but also, this the good place to optain the good experience of Chiang Mai history, faith and also the culture as especially in silver too. 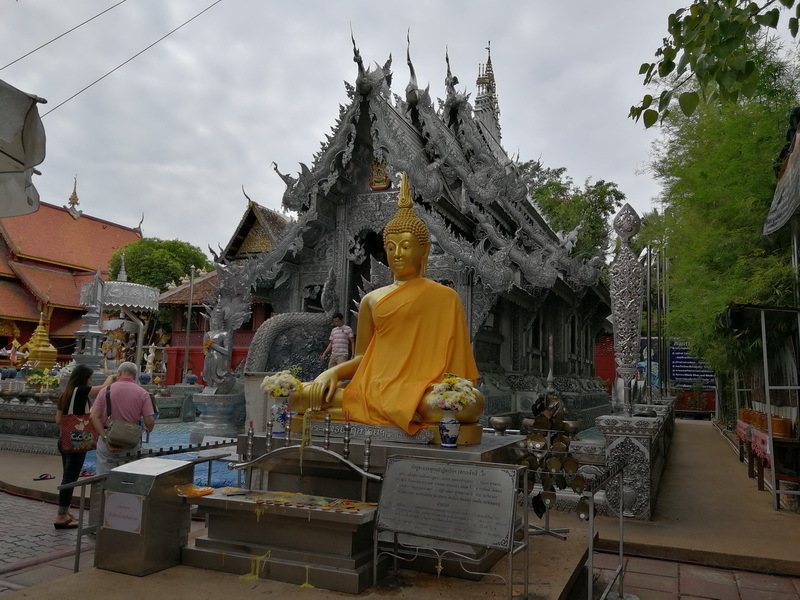 According to the location of our Wat Sri Suphan, there is located in the central city of Chiang Mai. So, there are several ways to reaching our wonderfully religious site, the Wat Sri-Su-Phan in either ways by your own or rental vehicle. 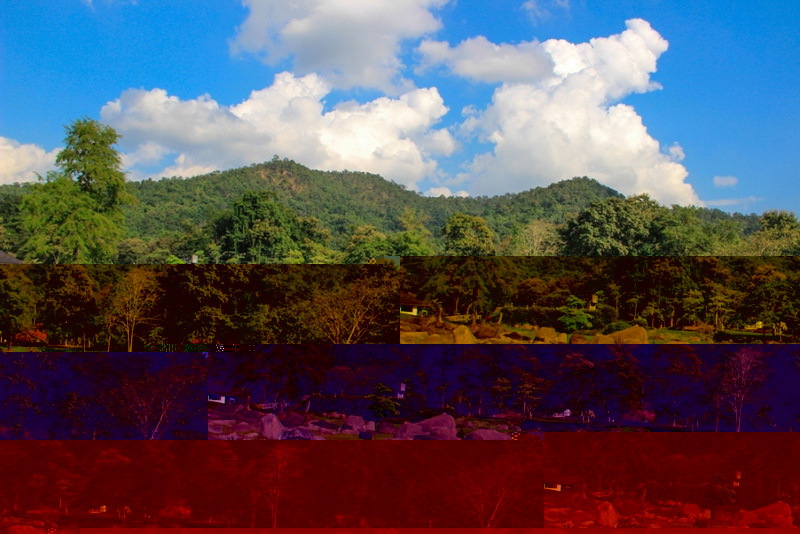 Begin from the central city of Chiang Mai. Next, go along in the several directions to the Wua-Lai roand. Then, approximately go long in on the Wua-Lai Street for around 600 meters, you will see the Wat Sri-Su-Phan’s guidepost on your right. Do not to be worry, the guidepost is big and easy to notice that. Take a turn on your right and go along in direction for 50 meters then you will here to this amazing destination, our Wat Sri-Su-Phan in finally. 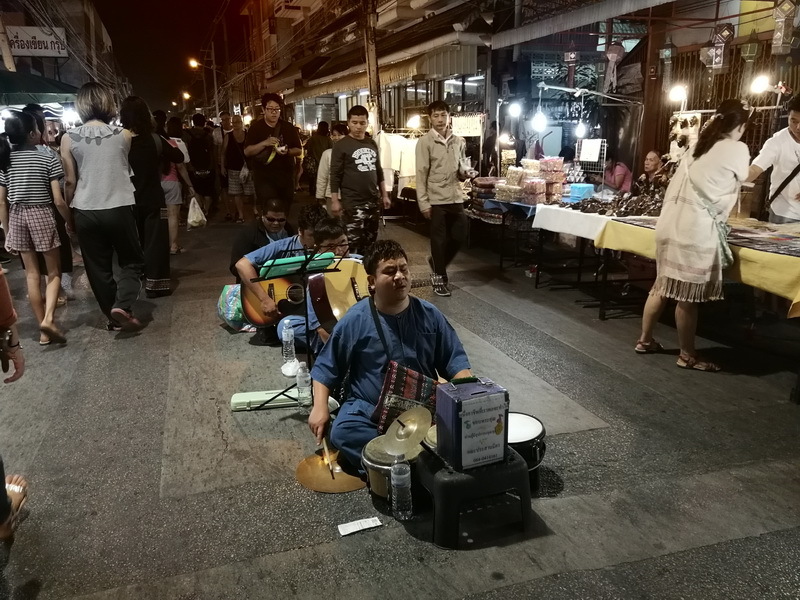 The next option is for the tourist who need not bring their own or rental vehicle, is taking by the several public transportation around the central city in Chiang Mai. Need not to worry with the cost of traveling. The destination is in the town too so the traveling cost might exactly be the friendly price. The recommended public transportation from me is the red minibus. Even through the red minibus is not a bit convenience. This red minibus is the most low cost choice for you to reaching to the destination. Our Wat Sri-Su-Phan in exactly. 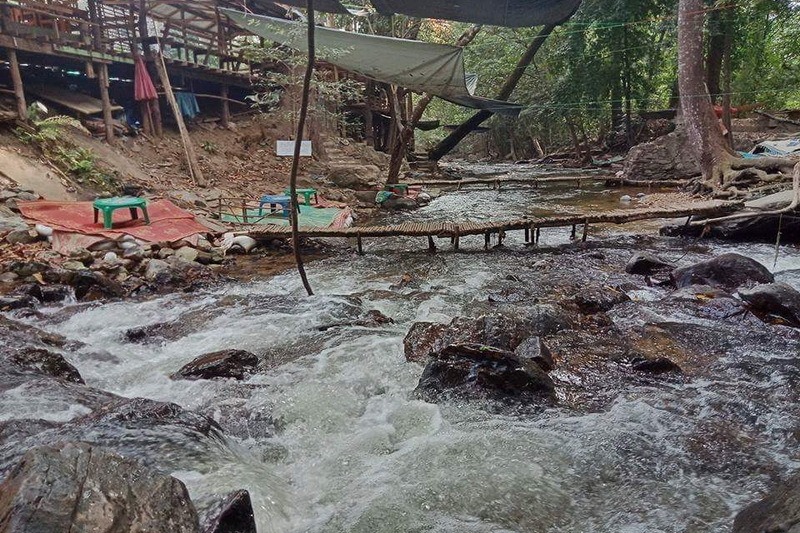 In my opinion if you accommodation is the central city of Chiang Mai, cycling and walking the best chilling ways to not only relaxing and being exercise your life but also, it is one good experience t takea sight of the native life begin in each day.